I like to think that if asked, my clients would describe me as accessible, honest, and helpful in guiding them through what can, at times, be the stressful process of buying a home. My entire professional life has been focused on service and helping folks resolve their problems, not add to them. 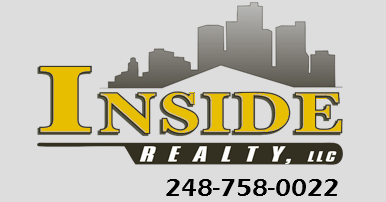 If you are looking for realtor, please give me a call to discuss what my company and I can offer before you make your choice. Frank helped me understand the ins and outs of the unconventional "repair" loan I was receiving. He told me all of the steps needed! Frank kept us informed. We told him what we were looking for and he sent us a list of homes in our price range and the items that we would like. frank is the best! to start, he always answers the phone or returns calls right away. which was the reason we chose to use him over others in the first place. we thought he would be reliable - and he was! without his timely reply and valuable advice, we would not have gotten this highly sought after home we are in now. he was always on time. he was honest. he was informative. most of all, he was a pleasure to be around. he put us at ease during the entire process. now we are enjoying our new home that still seems too good to be true - thanks to our new friend frank! Frank had to sell an estate property for us that was in probate. It was a very difficult and trying ordeal for many reasons to get the property listed and sold. Throughout the entire process, Frank was professional, helpful, went the extra mile, and persisted, resulted in the property finally selling. We would highly recommend Frank as a realtor to anyone. He is trustworthy, honest, conscientious, and hard working. In fact, when we are ready to purchase our own home in a few months, Frank will be our realtor. Frank was a professional from beginning to end in helping us get a HUD home. He had our best interests at heart and went above and beyond to meet deadlines and get papers for us. He is calm, knowledgable, and honest. If I need the services of a realtor again I would definitely use Frank. Accessible, honest, helpful, and focused on service.